While there is no shortage of pizza, sandwiches and Mexican food in Goleta, Hawaiian poke bowls can be hard to come by. 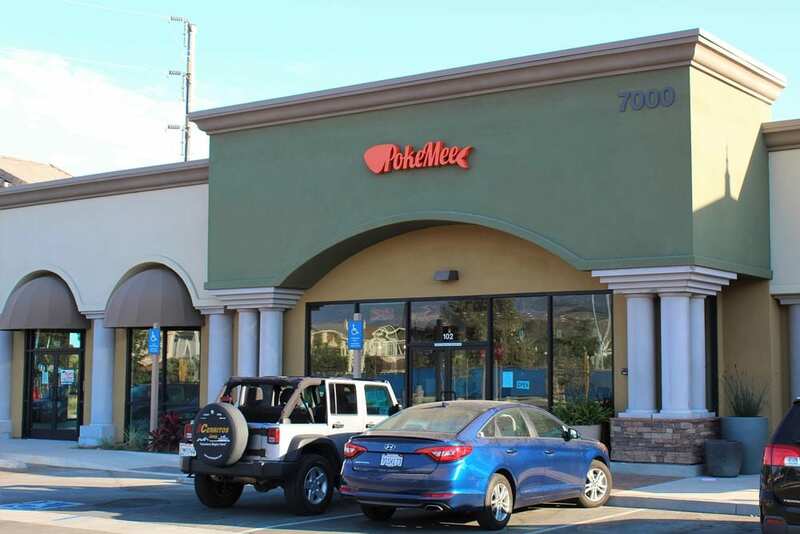 That was the primary reason for opening PokeMee at 7000 Hollister Ave., says the new fast-casual dining restaurant’s manager, Chris Nguyen. PokeMee is centered around build-your-own poke (pronounced like “Poke-A”) bowls, and comes from the owners of Taiwanese-style Sno-Crave Tea House, a Bay-area chain. Goleta’s is the first PokeMee. Bowls include a base of salad or rice, a choice of fish and a number of sauces, toppings and sides. The restaurant had its soft opening on Sept. 23 and will have its grand opening on Oct. 8. PokeMee also offers some of Sno-Crave’s more popular items, like hot and cold tea, boba bubble tea, smoothies and desserts. PokeMee opens at 11 a.m. every day, with closing around 9 p.m. or 10 p.m., Nguyen said, as it gauges locals’ late-night meal needs.